NT Forms – Customers in the Northern Territory now have the ability to produce statutory forms from the stock card Forms Manager. NT Forms 10, 11, 12 and 13 can be produced electronically and stored in Forms History for easy reprinting. DAIS Safety Certificate at First Registration – The second-hand indicator will be automatically checked when a new vehicle with an odometer greater than 500kms is selected in a DAIS Registration transaction. This is in line with changes to the Safety Certificate Exemptions at First Registration announced by Queensland Transport Operations in September 2018. DAIS Replacement Certificate Printing – The print certificate checkbox is now defaulted to checked when creating a DAIS Replacement Certificate transaction. An updated note and link to the Department of Transport and Main Roads online services has also been added to the DAIS Replacement Certificate transaction screen. Inhouse Lookup Configuration – The stock card Inhouse lookup configuration has been updated to ensure the Engine Number, Compliance and Manufacturer Months are mapped correctly on the stock card created. 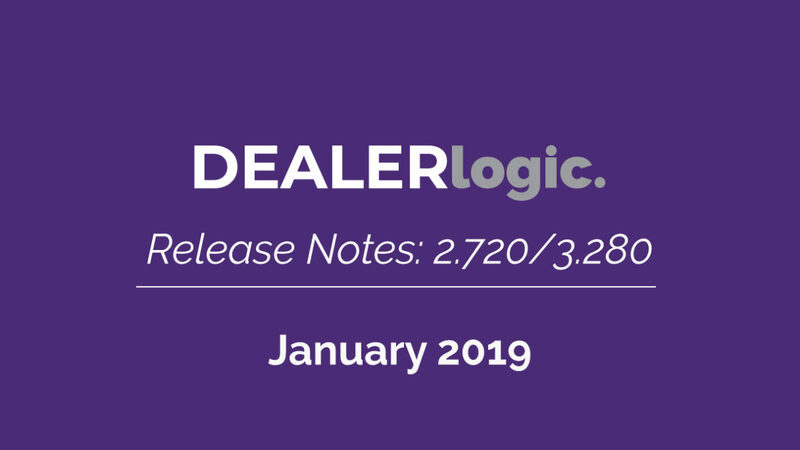 Dealer Receipt Number Allocation – Correction has been made to the storage of the default setting for the Dealers Receipt number allocation method in the Program Configuration Invoicing tab. DAIS Invalidation Guidelines – The link to the DAIS Invalidation guidelines has been restored so that DAIS operators have access to the Invalidation Guidelines. Stock Locate Column Display – Corrections made to the display of the Salesperson and Location columns on the Stock Locate grid sold vehicles tab. Report Printing – Corrections have been made to handle the intermittent ‘oops error’ on Windows 7 machines when printing standard reports.